I wanted to show my class tonight a simple and creative way to make a personal “cheap” diffuser by using a piece of cork, wooden clothes pin and some yarn. Of course I used some patty’s day inspired yarn for this project! It’s simple you just lay the piece of cork on top of your clothes pin and then wrap the yarn around the end and tie! Please whatever oils you like on the cork and enjoy! I don’t know about you but we had a full blown oily st. patty’s day! Every snack at the class was made using oils and they were yummy! She made us Peppermint Fudge, Orange Brownies, Lemon Poundcake and Lime Guacamole (my fave) and we enjoyed citrus water (remember to use glass or stainless steal). It was all so yummy and beneficial to our wellness *wink *wink Plus it looked pretty on the table. I love sharing my oily love with others and helping them seek wellness in their life. Go enjoy life, seek the Lord and know His love for you, remember he had you in mind from creation and on the 3rd day He gave us a gift! 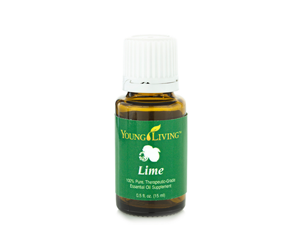 Every new signup that purchases the Premium Starter Kit through my link from now until March 31st, 2015 will receive a free 15ml bottle of Lime Essential Oil in their welcome packet, full of goodies to help you learn how to use your oils.